When dealing with large crowd simulations, there are a few things that will make your (and your lighters) life easier. Every polygon counts! Remember that each polygon will be generated and shaded for each character! As a quick rule, a fully deformable Character with 10k polygons will roughly require 5Mb of memory. Every bone counts! During the simulation, every bone will be processed, computed, displayed, exported and rendered. If bones (like fingers) are not needed, do not create them in your Maya skeleton. Lighten the simulation display: Golaem Crowd provides several ways to lighten the display of the simulation. Take a look at the Draw Entity Percent of the Crowd Field or at the LOD Pixels Size parameter of the Entity Type node. In our experience the biggest factor influencing render time is the memory usage! If you hit 90% of the memory, the operating system will start unloading some memory on the disk to free some space for the next memory allocation. This process is VERY time consuming. This is what could make a 5 minutes / frame render suddenly become a 2 hours / frame one. That is why most of the best practices below rely on avoiding allocating memory. Even if the procedural rendering approach only generates Entity geometries when they're required / hit by a ray, it's not uncommon to have Entities really far from the camera getting generated due to diffuse / shadow ray bounds. 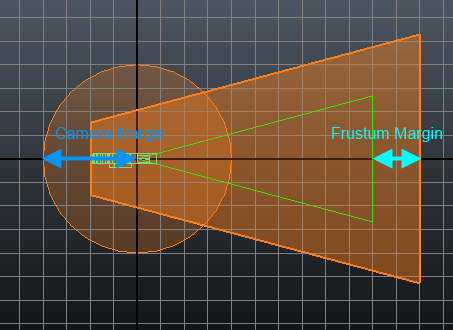 Thus, in certain situations, it's possible to generate only the Entities which are close enough to the camera frustum. Notice that this feature is REALLY efficient to lighten the render times as soon as reflections, color bleeding don't have to be 100% accurate. Golaem will automatically instanciate (i.e. store only once in memory and then duplicate on the fly when needed, hence saving memory) all meshes which are skinned to only one joint (aka rigid meshes). Depending on the type of character you are dealing with, you can save a great amount of memory by taking this into account. See Skinning Rigid Props for Instancing for more details about how to benefit from this. Automatic Rigid Meshes Instancing is activated by default. The settings can be found in the Crowd Render Proxy. If the above tips & tricks and best practices are not enough, you can try to split your simulation or your render in multiple parts. Due to Windows low fragmentation heap and V-Ray memory allocation strategy, a significant time can be spent to release the used memory after rendering has been completed. To solve this, set the environment variable VRAY_TERMINATE_ON_FRAME_END=1 then V-Ray will write the output image and terminate the render process without attempting to free any memory manually (it will be freed by the OS automatically). Note that when using this technique, your render farm manager could report the frame as "in error" even if they were perfectly rendered.